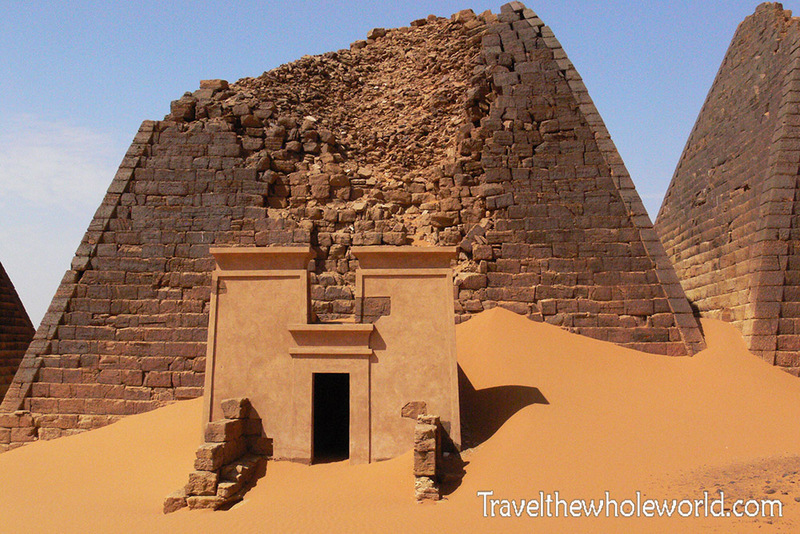 Most people are surprised to know that not only are there pyramids in Sudan, but Sudan actually has more than Egypt! With Ancient Egypt just further up the Nile, it was inevitable that some of their culture would spread to surrounding areas. As a matter of fact, at one point the Kush Kingdom even successfully invaded the north and ruled Egypt with their own pharaohs for a 100 years. It’s estimated that the Kush Kingdom began as early as 3,000 years ago in 1070 BCE. The kingdom had an impressive lifespan, lasting well over 1,000 years and fell apart around 350 CE. The Kush Kingdom’s pyramids were often small in size and none could compare to the massive pyramids of Gaza, but they are just as ancient and incredible to see with your own eyes. 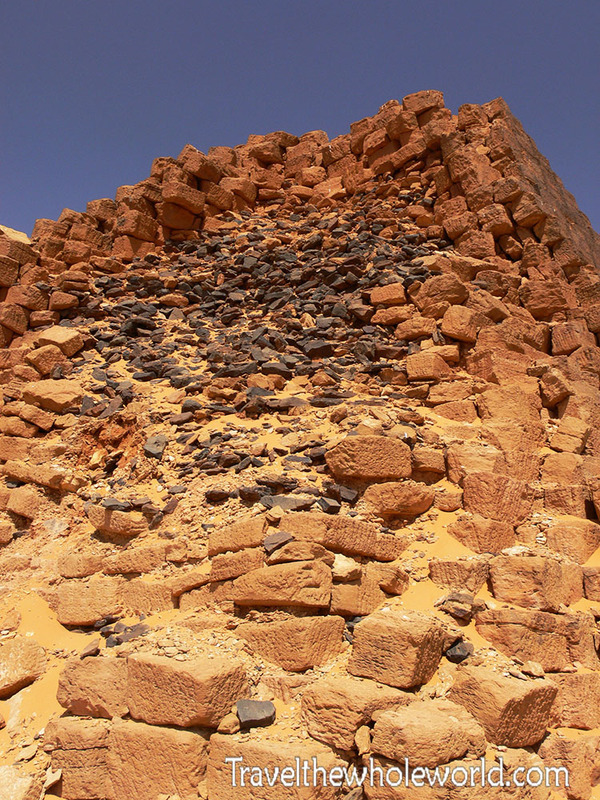 Meroe is probably the most impressive remains of the Kush Kingdom and the only Kush site I visited. 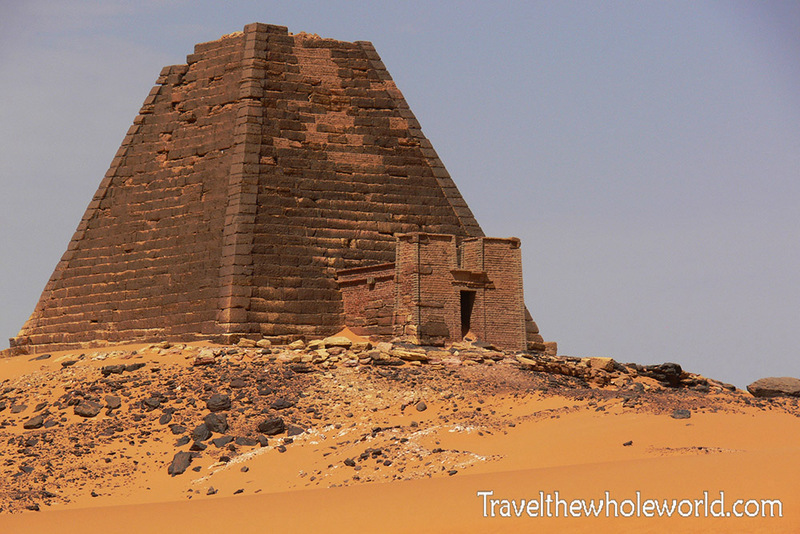 There are countless other ruins left behind from the ancient civilization scattered about Sudan’s Nile, sadly there is just never enough time to do everything! 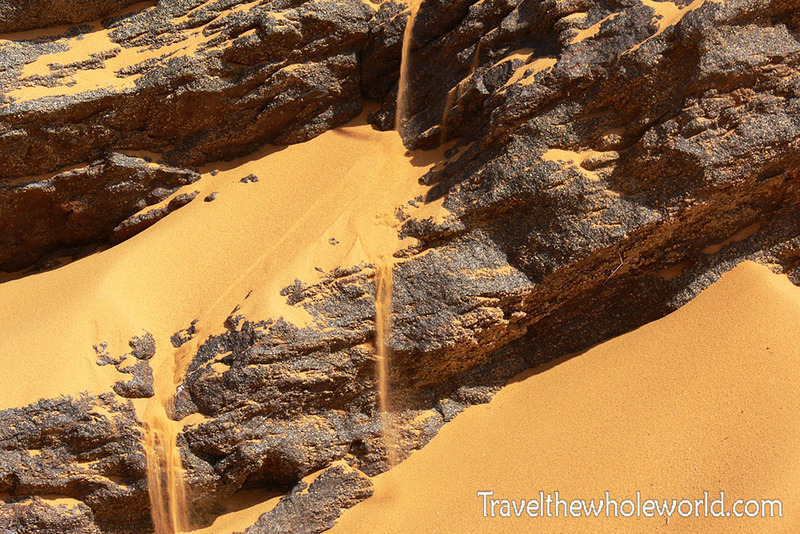 Meroe is located deep in the deserts of Sudan north of Khartoum. During the drive you’ll pass by some spectacular desert scenery along the way. 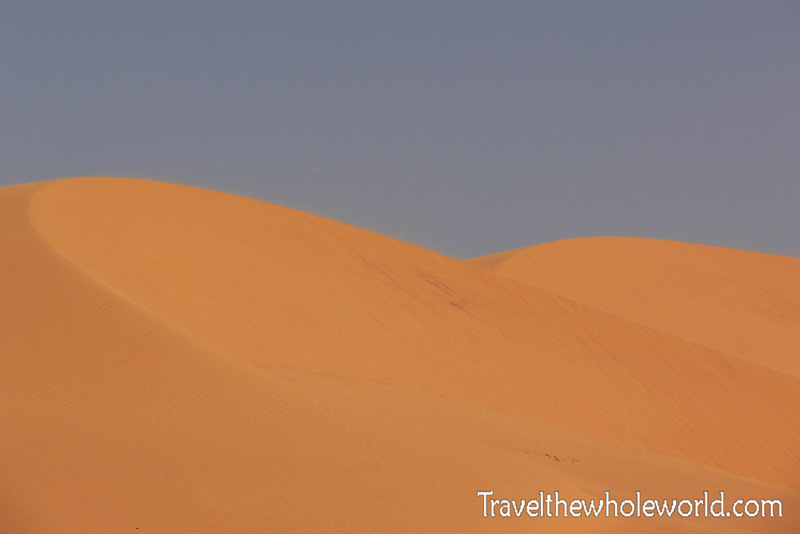 As I approached Meroe and saw massive sand dunes and a dry unforgiving landscape. It’s pretty impressive that not only did people once live here in ancient times but this site is also a former kingdom’s capital. When I visited Meroe I had to check in with a local security outpost. They seemed especially concerned that I’d take video for some reason but otherwise didn’t care about photography. Once they were satisfied and saw my photography permit from Khartoum I was pretty much left alone and I got up and personal in lots of Meroe’s pyramids. This pyramid photographed above is actually restored and is what they once looked like thousands of years ago. 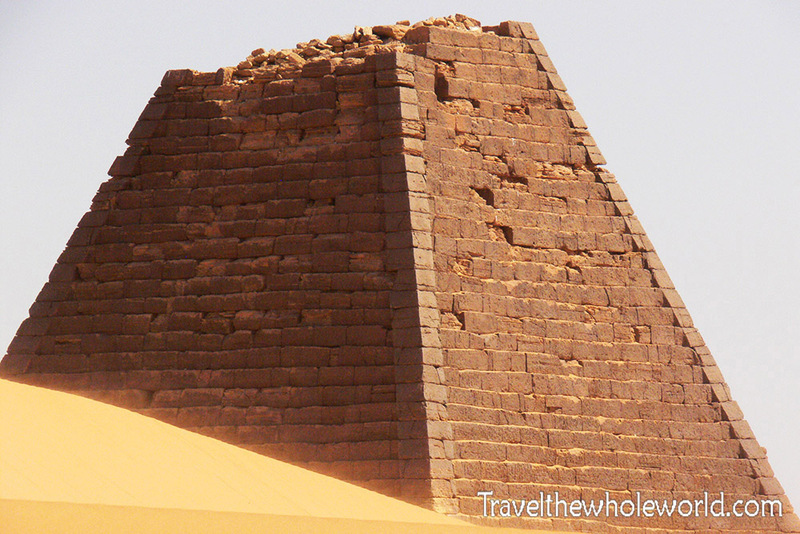 This pyramid is what most of them in Meroe look like today. 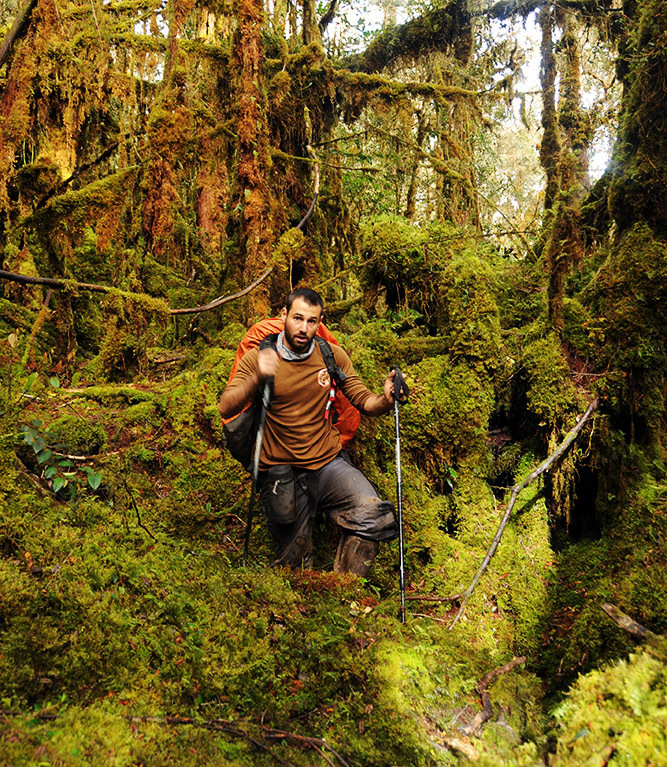 They are in pretty bad shape, but also impressive that they still exist when you consider the harsh landscape and literally thousands of years that have passed! Notice how high the sand dunes have climbed on the right hand side of the pyramid. Some of the pyramids have fared much better than others over the past millenniums. All of them have been damaged by the harsh desert environment, looters, and of course time itself. Rumor is some of the damage like in this photograph above was from explorers trying to lob off the heads of the pyramids in search for treasures. This pyramid below has almost been reduced to a pile of bricks. Lastly are some close up photos I took from inside the pyramids. 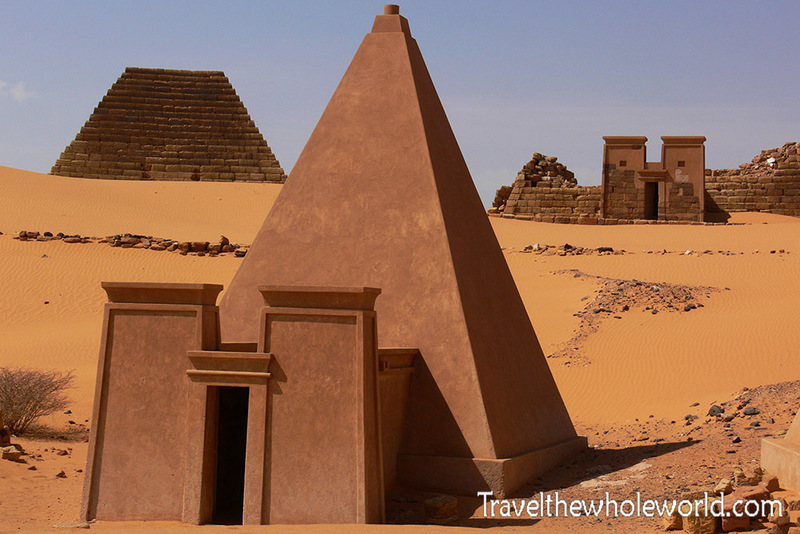 The pyramids have a main entrance that leads into a single large chamber that is often filled with writings. The above photo was taken right in the entrance of one of the pyramids I visited where you can clearly seen the outline of a person; likely to be a pharaoh or a Kushite Elite. The Kush kingdom had developed their own form of writing. Their alphabet is called the Meroitic alphabet and is similar to Egyptian Hieroglyphics as they use pictographs and symbols. 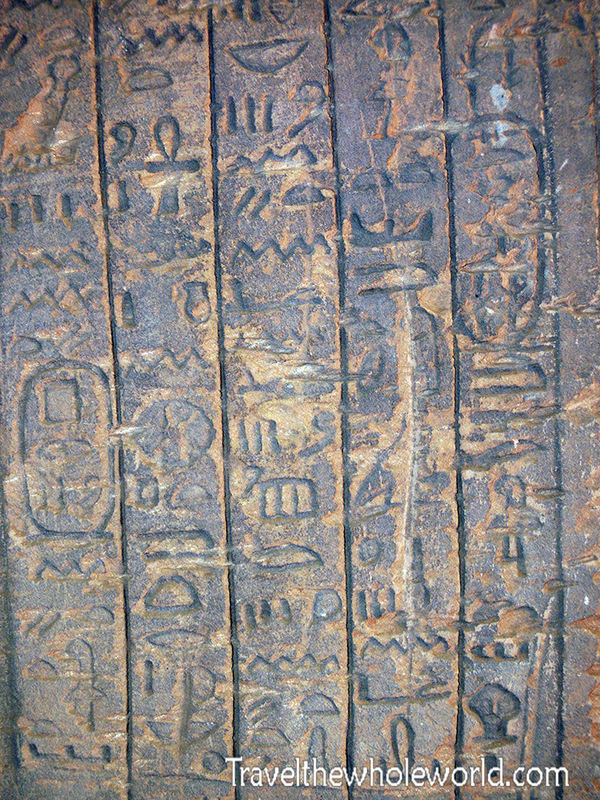 Despite this language existing for a thousand years and with all the material they left behind, the Meroitic language has yet to be translated! 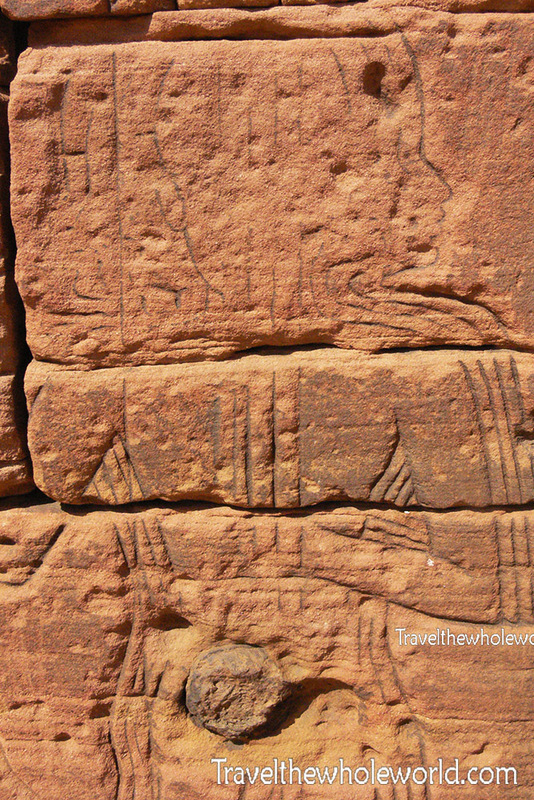 Lastly, I wanted to share this other interesting sight I saw in Meroe. I thought this plant above to be very unique. It’s not often that plants can grow directly out of sand and somehow still produce fruits! 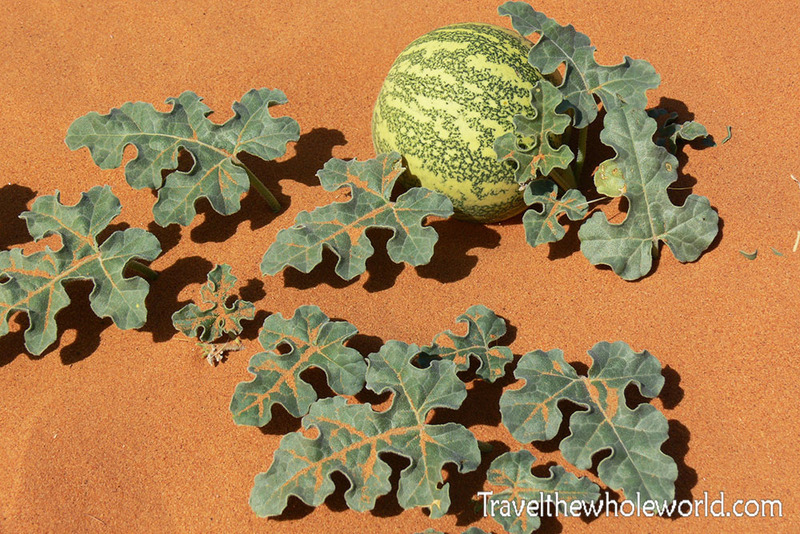 This plant wasn’t by itself in the desert, but there were dozens more of the same desert melons as I call them living in the dunes.